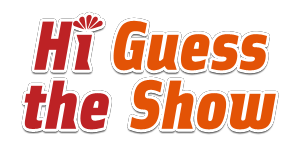 Hi Guess The Show Answers has cheats for all puzzles and all levels of Hi Guess The Show, the latest Hi Guess trivia, word game. This time, the subject is all about Broadway shows, including musicals, plays, ballet and more. How well do you know the Tony winning Broadway plays? If you love theater, you'll love this game. Just look at the images and use the letter provided to spell out the title. If you get stuck on any level and need help, Hi Guess The Show Answers is a fan run site that has all the answers. Just find the level that you're on and click the image to reveal the answer. Hi Guess The Show Answers all the cheats and answers for the Broadway based puzzle, word game, Hi Guess The Show. If you get stuck on any puzzle and need help, just find the level that the puzzle is on, by using the buttons and navigation, then click on the screenshot to see the answer. 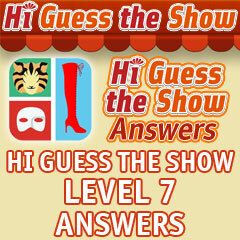 Hi Guess The Show Answers | Hi Guess The Show Cheats This site is not endorsed by or affiliated with CamMax.